Thank you so much for this beautiful creation my friend, it is sooooo pretty. 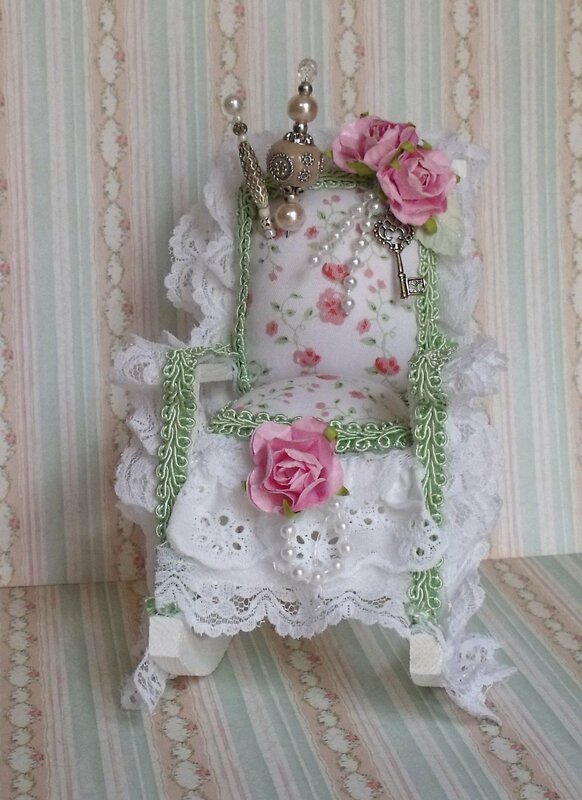 Gorgeous love the rocking chair ! Very creative Bobbi, love the rocker and those fabulous pins! Oh Bobbie, this is so beautiful. I just love the idea of the rocking chair. What a great idea. It amazes me all the different ideas everyone has to make a pin cushion. No wonder why people are starting to collect them.